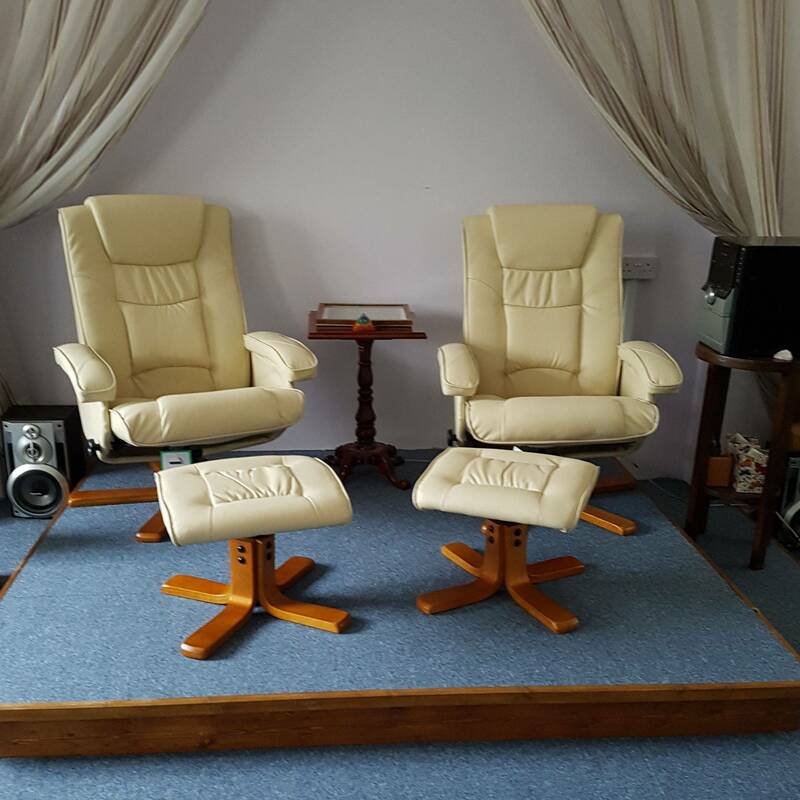 Spiritual healing: is held at the hall every other Saturday afternoon from 2pm to 4pm, everyone is welcome. You do not have to be ill to receive healing and you do not have to have any beliefs. The healing power comes from those in spirit, through the healer and then to the sufferer. Each healing lasts about 15mins and can be received either sitting or lying down. There is a donation box if you wish to give thanks for what you have received. What is Spiritual Healing ? Spiritual healing is closely related to the work of the medium, in that both require contact with the spirit world. 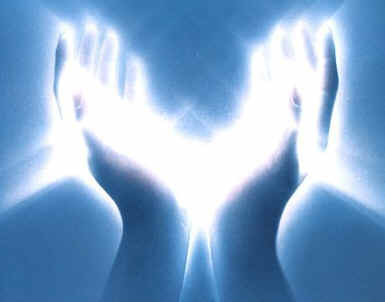 Spirit guides or spirit doctors channel healing energies through the healer or medium into the body of the patient. If we accept those in spirit have a knowledge which far exceeds our own, then it follows they must know how to effect cures in a way which is beyond our comprehension. Therefore the healer (medium) is not the cause of the cure, but rather a bridge for healing power, bringing that power to the patient via contact with spirit. Healers can often identify a complaint without being told, instinctively laying their hands on or near to the effected area. Depending on the condition of the patient and severity of the complaint, healing help may almost immediately or take many sessions. Not all who ask are cured of course, there may be many reasons for this. If you think you could benifit from trying healing for yourself, please come to one of our healing sessions, which is either free of charge or by donation. Can I receive healing at home ? If you are physically unable to get to church, one of our healing volunteers may be able to visit you at home. Please use the contact page to get in touch. You can also use this to ask for absent healing. Many spiritualist churches such as ours hold an absent healing list. This is a list where people can write down the name of someone they feel needs help, along with their ailment. This list is then used by the healing group to send out thoughts to those who need it. The thoughts are directed to those in spirit, the spirit doctors can act on these thoughts to send healing energy to those in need. What's it like receiving healing ? People new to healing often describe their first experience as very relaxing and soothing, sometimes uplifting and refreshing. You can sit in a chair or lay down whichever you prefer. The healer then begins by either holding your hands or placing their hands on or near your shoulders. The initial contact helps them to link to you. Once the link is formed they may concentrate on the area that is of concern, either by placing their hands on that area or holding them a few inches away.Try to relax and have positive attitude as this will aid the healing process. While the healer is working you may notice that a sensation of heat, slight tingling or trembling emanating from the healer's hands, all good signs that the healing is taking place. Finally and Importantly, you should always continue with any medicines and hospital treament you have been prescribed. Likewise, you should consult a doctor if you have any illness.